Life's little details...: Wish upon a star! 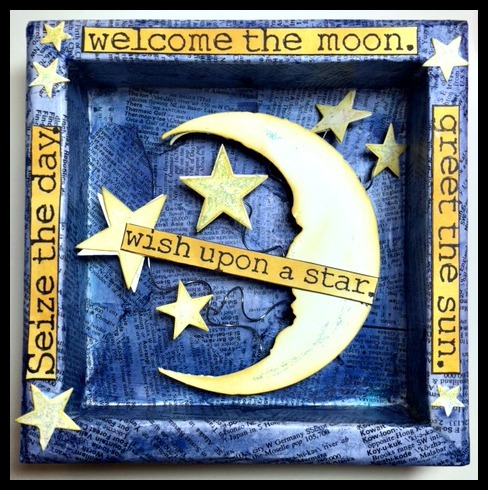 The theme this month over on Creative Carte Blanche is Sun, Moon and/or Stars. 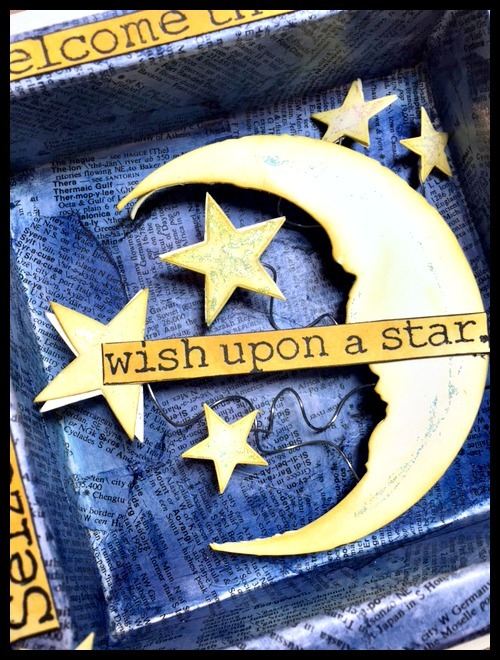 I created this little shadow box using one of Tim's Configurations boxes, His Moon and Stars Die and the stamp is from Impression Obsession! Seize the day, Greet the sun, Welcome the Moon, Wish upon a Star. The first step was to cover the box with torn dictionary pages. I then inked all over it using Chipped Sapphire Distress Ink. I sealed it using the Distress Glaze. 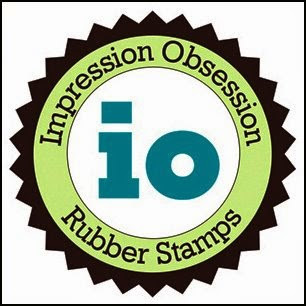 I stamped the image with Jet Black Archival Ink and cut it apart. Inked the Moon, words and stars with Fossilized Amber. Then coated them with Star Dust Stickles. It's hard to see, but it really helps the stars pop! I attached some of the stars to wire and coiled it, using foam tape (with about 10 layers) I inserted the wire ends into the foam that was behind the Moon. Lots of dimension! 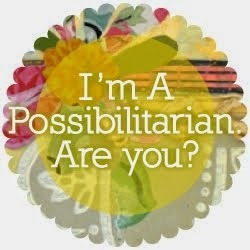 So there you have it...really was easy peasy...just not what I originally thought it was going to be. That just helped me to remember, sometimes art will take on a life of it's own! Go with it, don't try and force something...go with the flow and see where it leads you. You just might end up loving it! 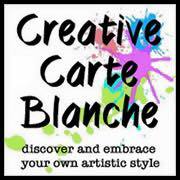 See you next month over on Creative Carte Blanche! Stop back here later this week for more inspiration! That is a beautiful piece for a child's room. He will love it. This is the sweetest! 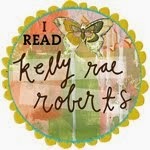 Love the colors, love the stamps! Your nephew is a lucky little guy to have this in his room. Aw, how sweet is that!! Such a cute little decoration and encouragement for the little guy. Bravo to you for incorporating sun, moon, AND stars! Love you! Adore this - great colors and dimension!